The new annex building at Hollybush Primary School is now complete & ready for the start of the 2017/18 academic year. The standalone building is located close by the existing school and provides 6 new classrooms catering for years 5 & 6 pupils taking the total pupil numbers from 420 to 600. 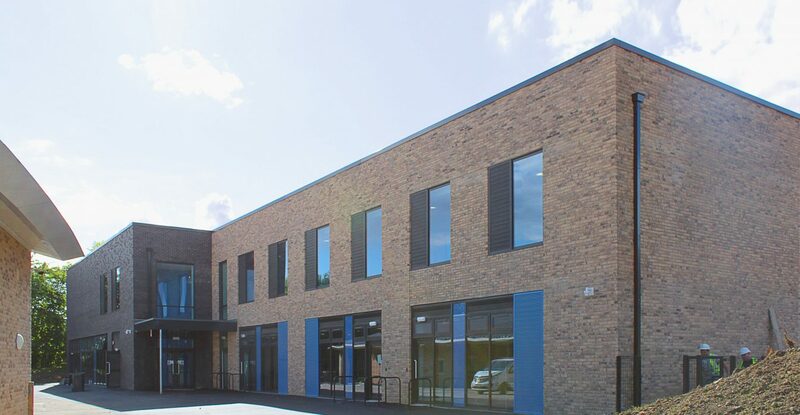 Built from a mixture of blue and buff brickwork over two stories, the classrooms are designed to meet the design criteria of Leeds City Council providing excellent natural light and ventilation in a building which is highly insulated and efficient to run. Each classroom has direct access to external space. At ground floor level, the classrooms spill out into the hard standing play space, whilst at first floor level, pupils have access to a raised teaching deck that looks out onto the schools playing fields. The raised deck area will provide an optional external learning space and a great vantage point for the summer sports days. A new community room and double height hall provides teachers with flexible activity and meeting spaces during schools hours. Outside of school operations, the rooms can be securely accessed by outside organisations, creating a potential revenue stream for the school and providing a resource for the local community. 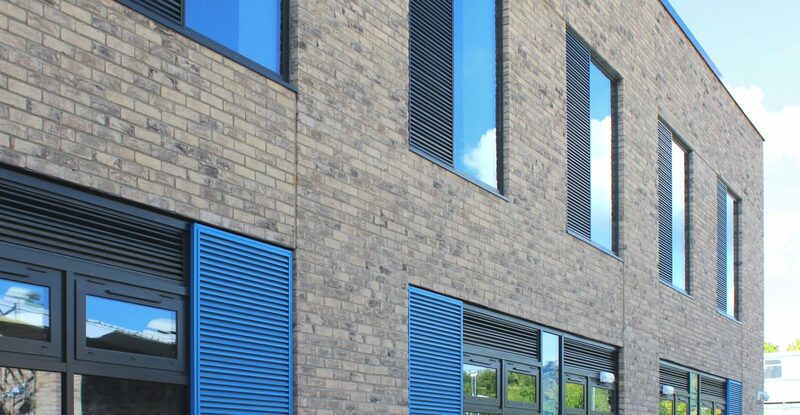 The main entrance to the building is picked out in double height curtain walling and a canopy and the building uses blue as a bold accent colour on the windows and detailing which was derived from the school emblem. We were appointed by Interserve Construction to design the building and provide design support during the construction phase. Beginning in January 2017 the construction phase was completed in a short 9 month period.